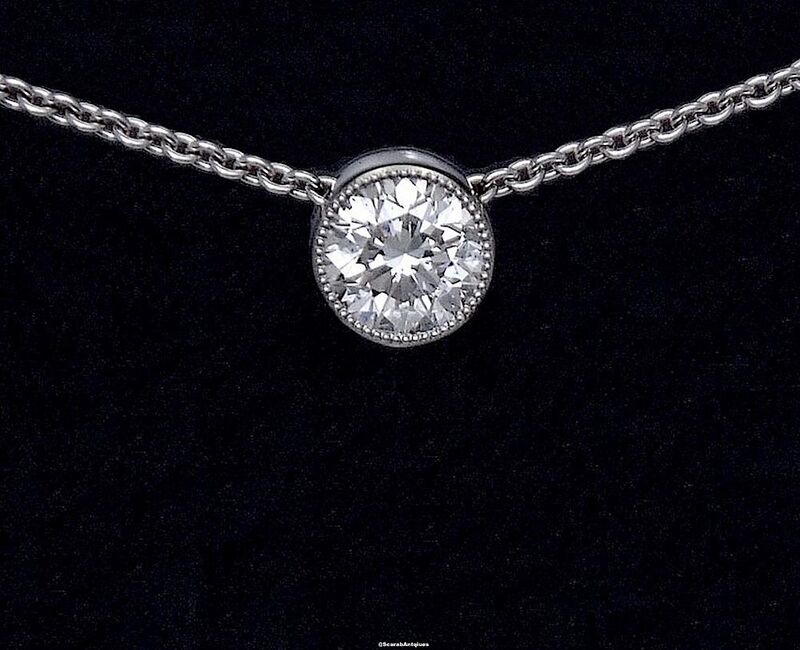 This very simple pendant consists of a round diamond mille-grain set into a platinum tube through the back of which runs an 18ct white gold chain. An everyday wear, smart or casual. The diamond carries a certificate from EDR dated 21 January 2012.